The Lafayette Numismatic Society (LNS) is a non-profit, educational organization which was founded in 1960. 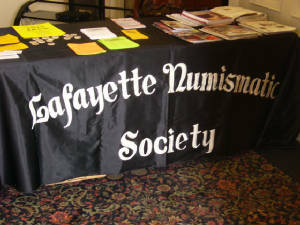 Our purpose is to educate its members and the general public about the exciting hobby of numismatics. 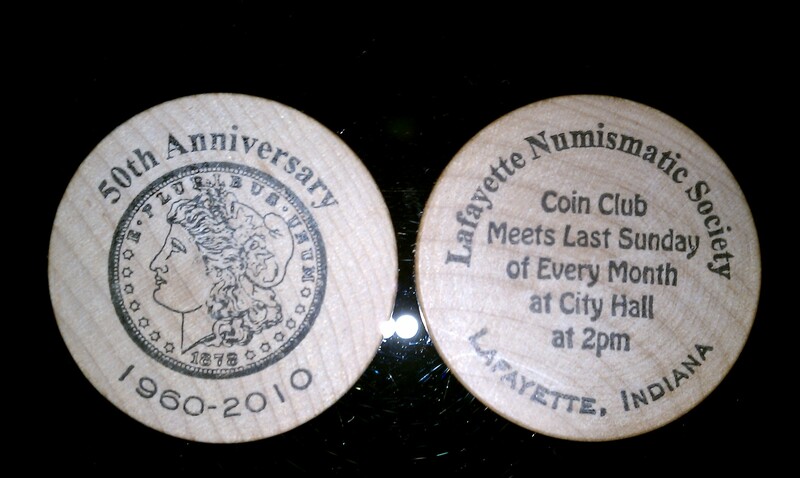 The club holds a monthly meeting and coin auction for members at 2PM on the last Sunday of the month in Lafayette City Hall. The Sunday Coin Shows are held at the new Lafayette Doubletree East on SR 26 near I-65. Directions: Located on SR26 at SW corner of I-65. We are a member of the Central States Numismatic Society and the Indiana State Numismatic Association. The Club has a few loaner DVD's from CSNS on coin related topics for our club members to view.